The Fnatic Duel is something special: a modular gaming headset. That means you can set it up as a lightweight set of headphones for your smartphone, or as a more immersive headset for gaming at your PC. The headphones have an impressive sonic pedigree as well, as they’re actually a rebranded version of AIAIAI’s well-regarded TMA-2 headphones. It seems like a match made in heaven, but do they work as well for PC gaming as they do in the DJ booth? Let’s find out. 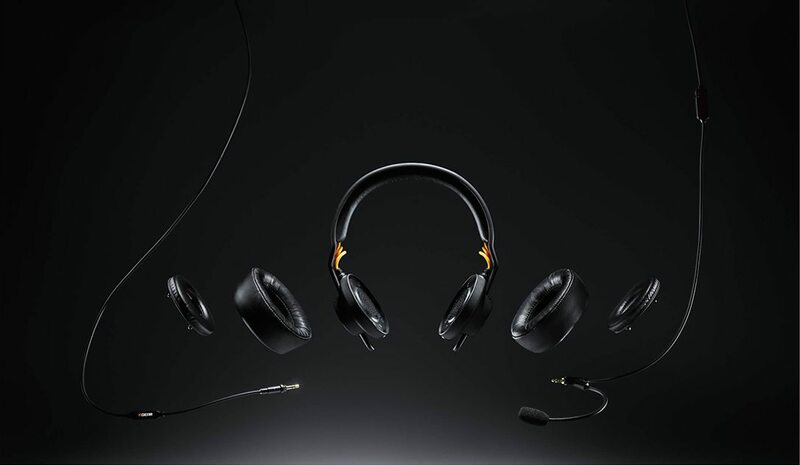 The Fnatic Duel comes at a high price, but it offers comfort, style and excellent sound. 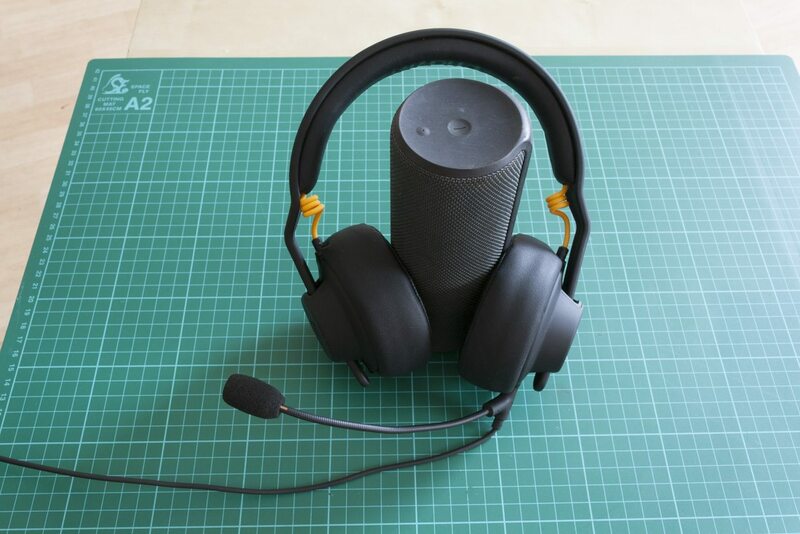 Add in a modular design that lets you use one configuration listening to music on your commute and another for battling back at home on your PC, and the Duel becomes an even more attractive proposition. Opening the box is a nicely surprising experience. Instead of getting the headset and a few extra bits and pieces to swap on, the entire headset comes in little MRE-style packages. Tear these open, and you’ll get the components one or two at a time. Then you’ve gotta assemble the headset, which is straightforward enough. You start with the headband, then plug the light orange coiled cables in the speaker units. Be sure to match the left speaker unit with the left side of the headband, by looking closely and finding the red colouring on the two components. After these are plugged in, you can rotate them a bit to secure the connection. Now’s a good time to slide the speakers onto the headband, which requires a bit of force. After that, you can start making choices — do you want the over-ear earpads or the on-ear ones? Push them onto the plastic pegs, making sure to align the cutouts at the top and bottom with the 3.5mm jacks if you’re using the over-ear pads. 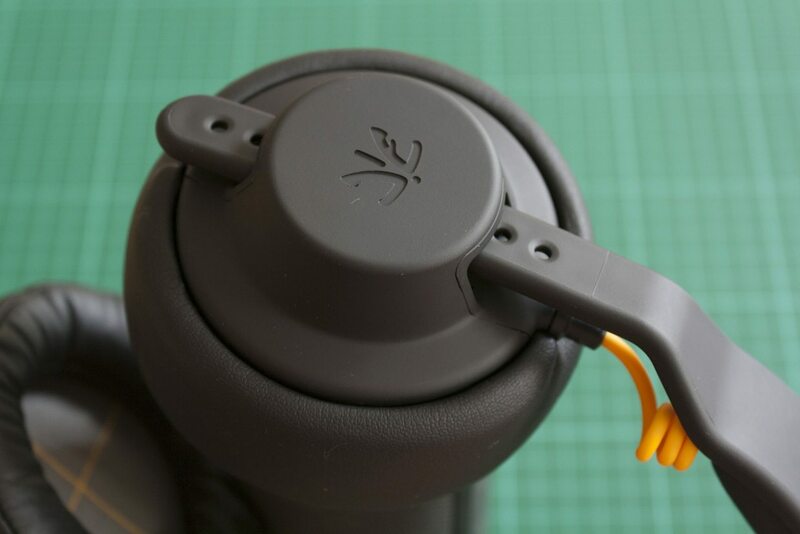 Finally, you can attach your choice of the in-line or boom microphones to either the left or right earpiece, securing it after insertion by rotating it a bit. You can also attach a 3.5mm splitter at the end of the cable if you’re plugging into a desktop PC with separate headphone and microphone jacks. The whole thing will fit inside the drawstring bag provided, which can also hold your remaining bits and pieces. You also get some instructions and stickers in the box. Now that we’ve got the headphones together, let’s have a closer look at their design. 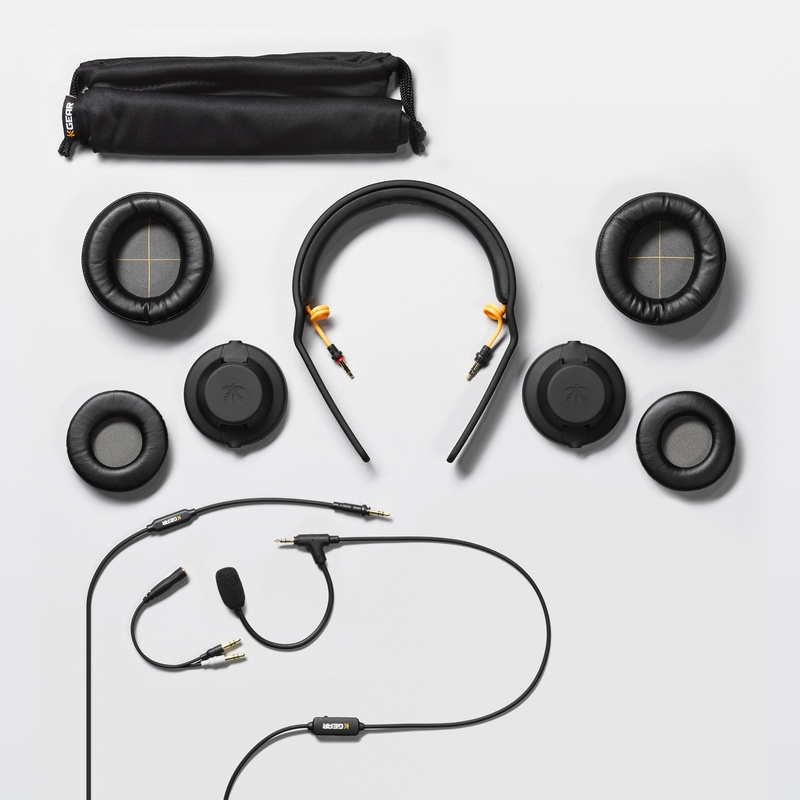 Each component here is matte black, with the lone exception of two components that aren’t visible during use: the light orange coiled internal cables and the grey-and-light-orange internal cushion of the over-ear headphones. There aren’t any LED lights or stupid angles anywhere. Instead, the Duel’s look is stylish and refined, unlike most gaming headsets on the market. Even the Fnatic logos here are hard to see, just faint impressions of the logo on the outside of each speaker unit and the Fnatic wordmark on the underside of the headband. 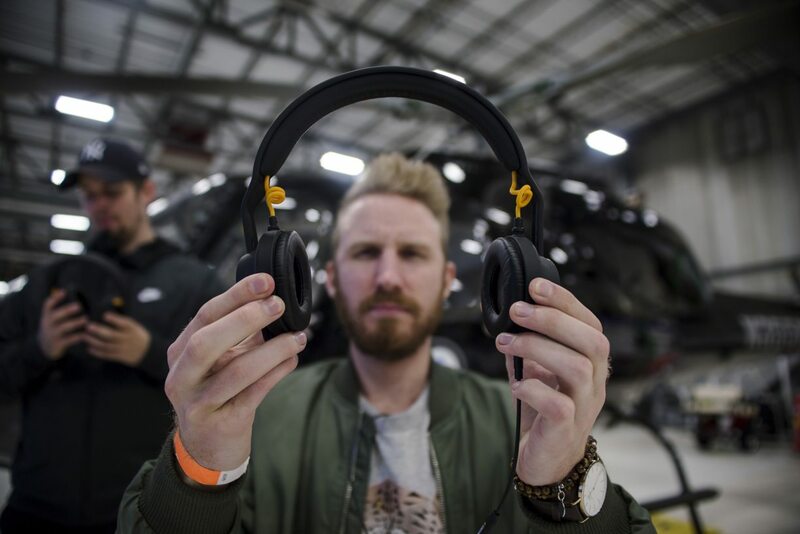 This minimalist look made AIAIAI famous with the TMA-1, so it’s no surprise that we get a similar vibe from Fnatic’s custom TMA-2. The earcups and the cushion of the headband are made from PU leather and feel quite comfortable. The whole headset is light too, especially in its mobile configuration, weighing just 275 grams. My daily driver is Mionix’s excellent Nash 20 headphones at 400 grams, so this was a noticeable difference. These babies blow most gaming headphones out of the water when it comes to sound reproduction, with warm velvety tones that make me want to re-listen to my music collection to find out what I’ve been missing. 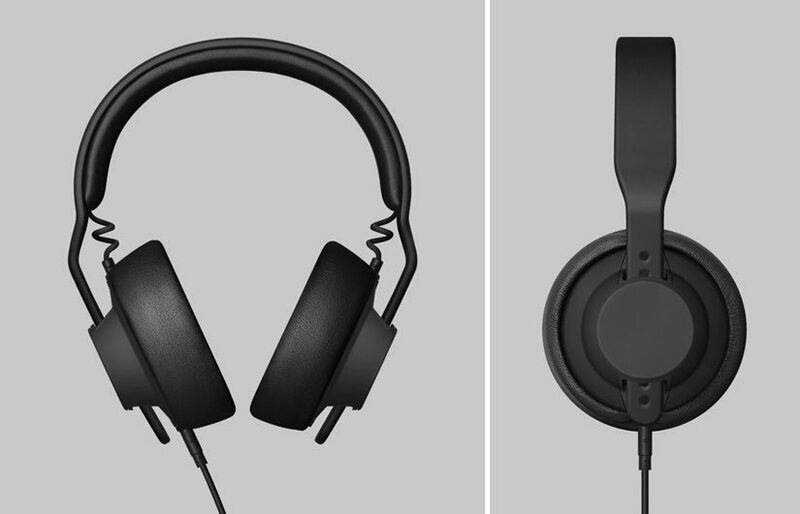 The over-ear headphones deliver a wide sound stage, while the on-ear variants are a little more narrow. Bass reproduction was impressive; clear and powerful in Gangrene’s Bassheads, for instance. Many gaming headphones end up over-emphasising bass, but the Duel stays quite flat and neutral — nice. The Duel offers perhaps a little less sound isolation than the average over-ear headset (e.g. the Nash 20 I mentioned earlier), but still more than enough to block out most background noise. The on-ear cups let more sound through, which can be nice if you want to talk to passing housemates and the like. Games are a little less demanding than games, acoustically, and all of the requisite gunfire, explosions and inane chatter came through as expected. 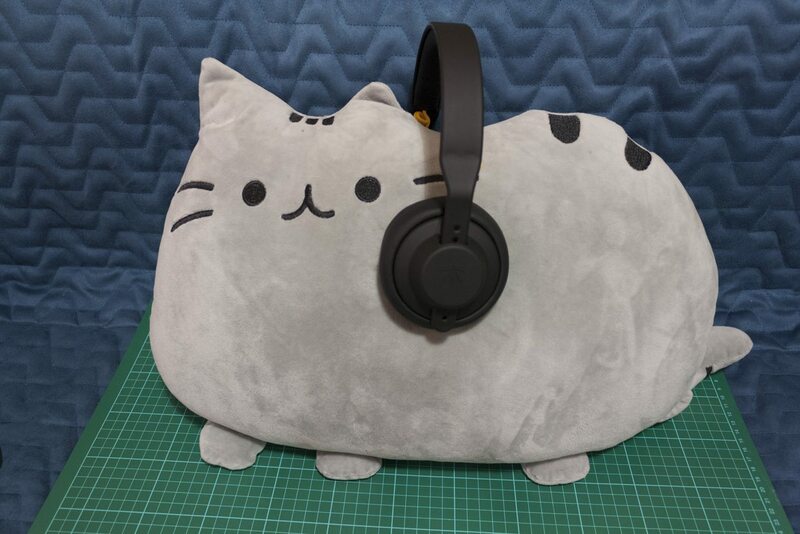 I found it a little easier to pick up footsteps and other quieter noises with the over-ear cushions installed, so I tended to use these for the majority of my testing. Speaking of talking, the microphone also does the job without issue — my teammates had no problems understanding my frantic comms in Counter-Strike, for instance. The microphone’s flexible metal construction should also make it impervious to normal use and abuse. The one weak point could be the 3.5mm splitter, which features very short and weak-looking plugs, but so far I’ve had no issues. Swapping out components can be accomplished very quickly. Transforming it from mobile to PC mode — i.e. changing the ear cushions and cable — takes about thirty seconds, and you can leave the desktop cable plugged into your PC for a quick hookup when it’s time for gaming once again. 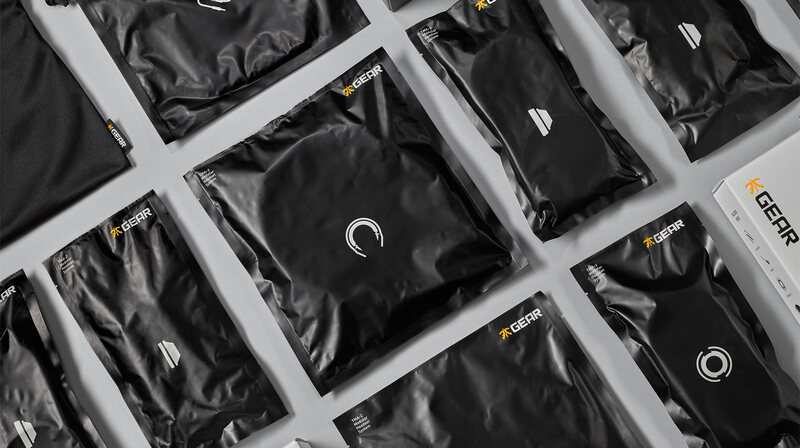 The modular design also means that Fnatic Gear might be able to send you just the one broken part that you need, rather than a whole headset, if something breaks or goes wrong — it’d be interesting to see whether the company takes advantage of this. 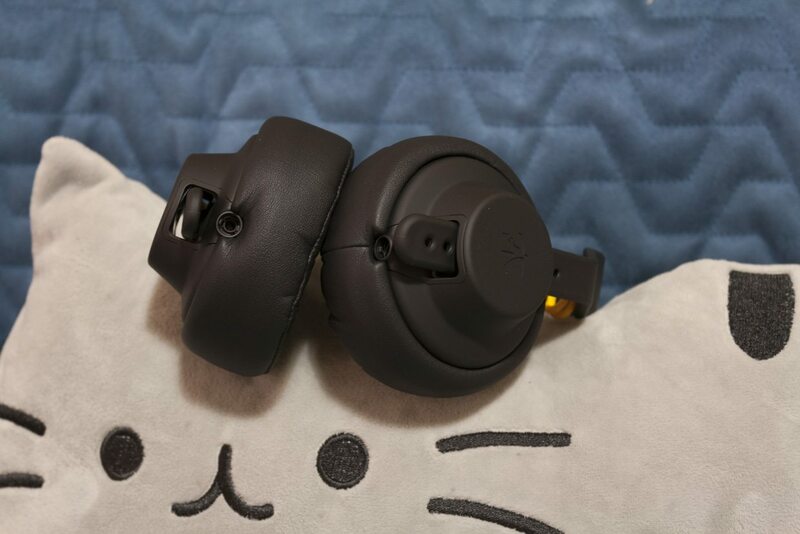 You could also potentially upgrade the headset with new components down the line; headset designers AIAIAI have different components already on their site which should work with the Duel too, and they’ll even release a Bluetooth headband next year. However, the design does have a few downsides compared to other gaming headsets on the market. 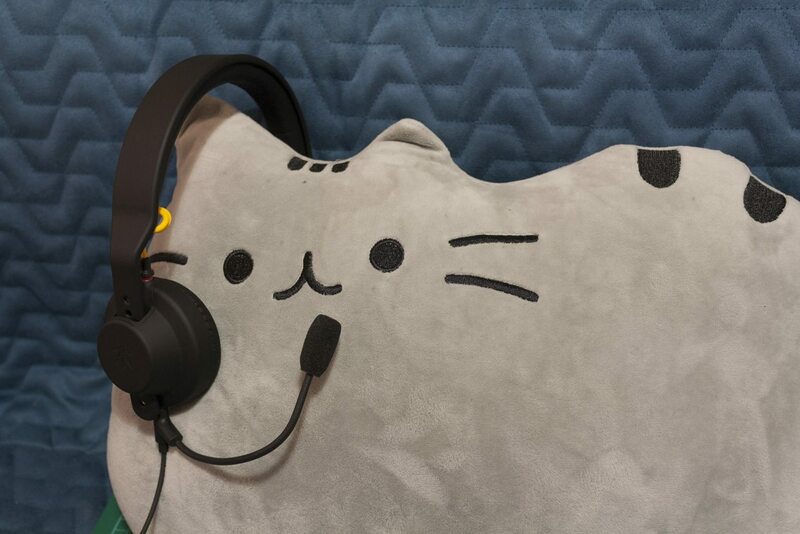 Most noticeable is the lack of any kind of volume control on the headset itself or its in-line remote; you’ll have to adjust your Windows or in-game volume manually instead. This is a drag for me, as I want maximum Windows volume when I’m listening on speakers and then about 10% when I’m using headphones. Forgetting to turn down the headphones before starting your favourite game, and you’ll be struck by a sonic blow straight to the eardrums — not ideal. I much prefer having headphones with their own volume setting to avoid this problem. Of course this is only an issue if you’re plugging in your headphones directly into your PC’s top or front headphone jacks; if you’re using a headphone amp with its own volume control then this of course won’t be an issue. Cable with microphone — €35? That adds up to €260 of components on the AIAIAI site (as seen above), plus approximately €40 worth of additional components that aren’t available for €300 in total. The Fnatic Duel retails for €200, so it’s offered at a considerable reduction against the AIAIAI price. Nice one, Fnatic! The headset’s price still exceeds that of most gaming headsets on the market, but given its audio quality and style, it seems reasonable. Above: Counter-Strike players know who this is. The only thing I ask is that Fnatic add a volume control to the next version — I don’t think my ears can’t take another accidental full volume rendition of the Dark Souls main menu sword crash! Hi William, I have a question for you. You mentioned that your teammates had no problems hearing what you said. Now, I’ve gotten a copy of the headset myself, and I’ve met some big problems with the boom microphone. For instance my voice is extremely low (with everything put to max) and my teammates tell me there is a lot of static. Did your teammates also experience static? Hi Jacob. I just did a recording with the headset. It’s a little more staticky than I remember — think I originally tested this with a USB sound card? — but it’s still quite understandable and I don’t have the low voice problem. I’d recommend enabling noise supression in your Realtek HD panel (if you have access to this) and adjusting the mic volume from 100 to 80 and disabling the boost (e.g. set to +0 db instead of +10db or +20db in Windows). I’ve not tried adjusting the volume from 100 – 80, since I thought it would get too low to hear my voice. But I’ll try it later. But I’ve thought a lot about getting an external USB sound card, so maybe that’s what I’m gonna do! Here’s a recording with a cheap USB sound card (actually one that came with a Logitech G430 headset). It seems to have removed the minor static that was present before, although this one also seems to cut out momentarily during the recording — ah, technology! If you’re going to get a USB sound card through Amazon.co.uk, then perhaps you could use this affiliate link to place your order. Let me know if there’s anything more I can help with! If only I was using Amazon, then I would use the link. But atleast thank you so much! You’ve helped me out a lot!! No worries mate. Let me know if the USB sound card fixes your problem! Yeah im having lots of problems with mic sensitivity also. My friends can never hear me when i talk unless i scream. Spent 120 bucks on this thing youd think that itd work properly. Oh well..